I don’t know about you, but I used to come home from a conference with a pocket full of business cards. Piles of paper and plastic that sat next to my computer - staring at me menacingly - until I “accidentally” swept them into the trash bin a week, a month, or even a year later. But what if those piles of paper represented hundreds or thousands of dollars? Would we be so quick to sweep them away? I want to show you just a few things that you can do before a conference, during a conference, and after a conference to make sure that you are not leaving business and money on the table. Especially when you have already invested so much time and money! Because here’s the thing…. in order to have those business cards, you had to have had at least some human interaction. We all know that a picture is worth a thousand words, so don’t you think a smile and a handshake are worth a dozen LinkedIn profile views? You can vastly increase your Conference ROI by taking these few actions. Ok, I know I just said that human interaction is more important than a profile view. And it is! But since you are going to be meeting people, and they might be checking you out on LinkedIn, you want to make sure that your LinkedIn profile makes you more, not less credible. Spend some time on your profile. Create a background image. Use your summary to tell your story, and more importantly, how you can help you ideal audience. Get some media uploaded to lend credibility to your claims. And add your picture. One that makes you recognizable at a conference. You might have had more hair and been 10 pounds lighter 20 years ago, but if your picture doesn’t accurately represent what you look like now, then you’ve lost an opportunity to connect. Do you really want your top prospect walking right past you because they don’t recognize you? Are you a sponsor or speaker at the event? Then make the tiny bit of effort to reach out to other speakers or sponsors or volunteers at the event. And then “tag” them by creating a tag with the event name. 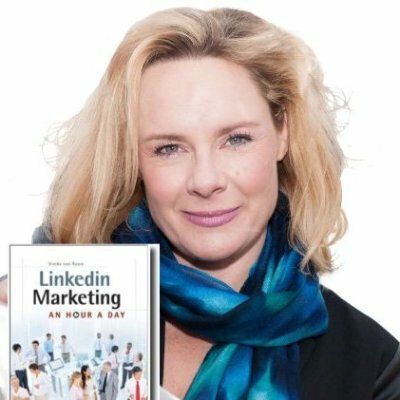 Now you can easily find them on LinkedIn for last minute connections or post conference follow up. Once you have connected to your fellow conference goers, make sure to share content in the form of Posts and Updates relevant to the focus of the conference. This will associate you more closely to the conference; create a greater KLT factor (know, like and trust) and maybe even help to position you as a thought leader. With the tiniest bit of effort, you can even share a Published Post and a brief hello in a private message with these individuals that you have tagged. If you don’t have the LinkedIn app on your smartphone yet, make sure you download it! That way you can invite people you meet while you are standing in front of them! What are they going to say? No? Just make sure to tag them your new connections when you get back to your room. That way you can more easily filter though all your connections, and more easily in touch with them. (Go to connections and sort by “new” to easily find them if you can’t remember their name and don’t have their business card. If you do have their business card, go ahead and add any other contact info or information you want to remember about them under notes and contact info. You can use the Connected App if you have an iPhone, or do it on your desktop. And since you have their profile pulled up, you might as well write them a nice note, reminding them who you are, what you talked about and possibly setting up a meeting. I use an application called Calendly (calendly.com) to send my new connections a link to my calendar, so we can schedule a quick get to know you session. The sooner the better. Follow Up. Follow Up. Follow Up. Did I mention following up? If you have a few more pesky business cards lying around, go ahead and invite those folks to connect. Because you have tagged your new conference contacts, you can continue to keep in touch with them. Send them helpful useful messages once a month or so. If you are a content creator, repurpose your blog posts, or create new content for Publisher, and continue to send them the very occasional message with links to the content. This will help you stay top of mind with them. And help to position you as a thought leader. You might even write an article on your favorite “takeaways” from the conference, or even interview some of the speakers and do a quick “Best Tips From” Post to share. 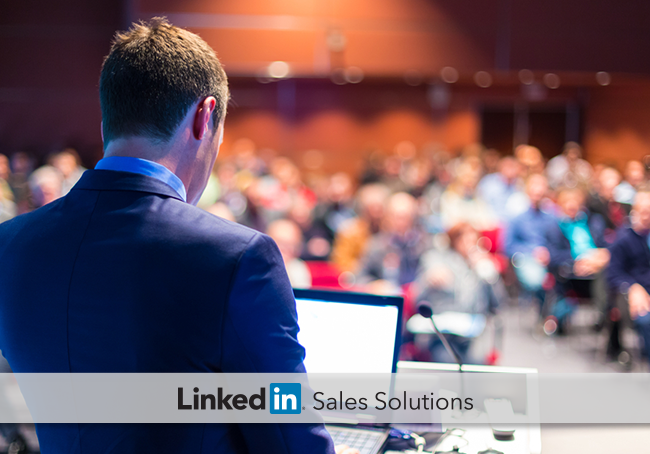 LinkedIn is a great business tool for sales and marketing professionals. But meeting in real life, and using LinkedIn to cement in those relationships is even better. Don’t leave money and business (and business cards) on the table! Use those pre and post strategies to increase your conference ROI!